We are grateful that God helped so many of our friends on the gulf coast this past weekend while Hurricane Nate was passing through. Some had very strong winds, heavy rains and some of them lost power for many hours. Praise God there was no major damage for any of them that we know about. We are also thankful that Homecoming at Tanner Williams was October 1 instead of October 8. We would have been headed out of that area at high rate of speed! Thank God we missed it by a week. Revival this week at Junction Hill Pentecostal Church is going very well. I am very thankful for God's help and the response of the people. Revival has been a joy so far and I am expecting it to get even better. Bro. 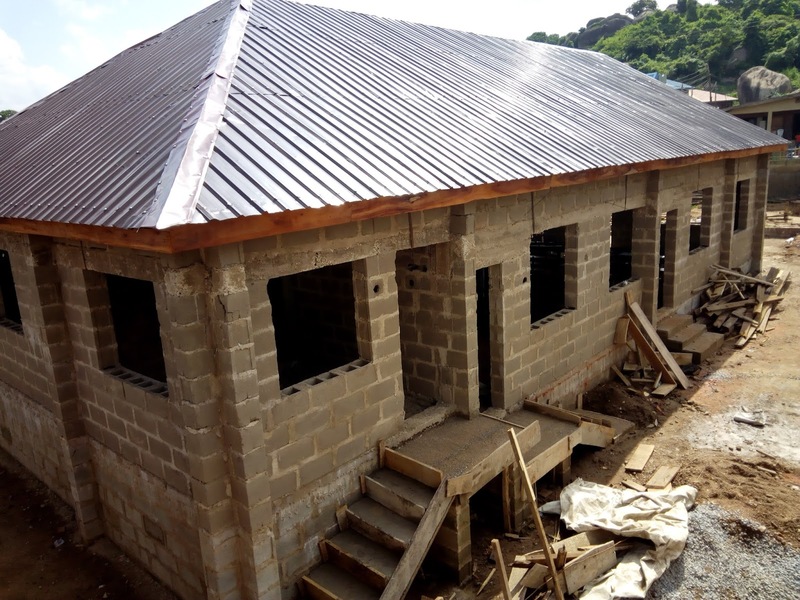 Shobanke sent pictures recently of the building progress on the new church that I have written to you about. This is the church on the same property as Good News Christian School. The church building had to be torn down before it collapsed. I wrote a few weeks ago about the reconstruction and now I have more pictures for you. The church now has a floor, walls and roof. It is a long way from being finished but they are able to have church in it. 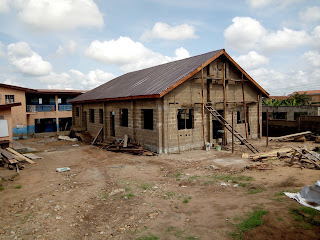 He called me yesterday and told me they started the new school term so they needed all the classrooms. 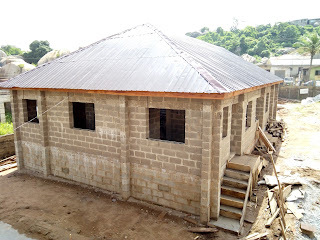 The roof was completed so they moved the church services from the school into the uncompleted building. He also said some money had been given that will almost cover the expense of the ceiling so they will start on that next. They are hoping to have money to do the electrical, windows, doors, painting and all the rest and finish by mid December.